I was a shy kid who got teased. I had short hair for a long time, played an unpopular sport, and had a funny last name, all of which provided opportunities for others to tease me. I was talkative to the few friends I had and to my family, but I remained shy for a long time in a lot of situations until college. My roommate for most of college was very outgoing, and it was hard not to absorb a little of that when I got around a group of people. I thought I was an extrovert, partially because I was talkative in comfortable settings and because I work in a social services. I am not someone who has ever had a large group of friends, like my brother does. Socializing with others comes very easy to him and everyone loves him. I have mostly had a few people I was close with, and I still prefer to interact on that basis. I get lost in a big crowd, and still have trouble figuring out what to say to people I don’t know unless I can find a connection or it is work-related and I go into that frame of mind. I went through a period in my twenties, like a lot of people, when I would go to bars and hang out but I still mostly spent time with people I already knew. While I did enjoy some of these times, I allowed myself to make poor or limited choices by not breaking away and branching out a little. The one good choice I made was to talk to the guy who is now Boyfriend, and it took me 20 minutes to think of what to say to him. Boyfriend is an introvert but has a very warm personality. 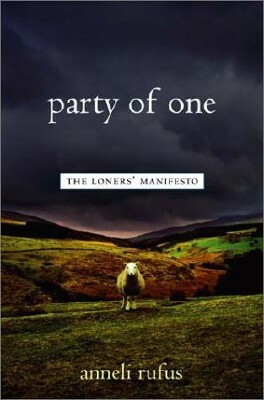 A few years ago he found out about a book called Party Of One: A Loner’s Manifesto by Anneli Rufus and recommended I read it after he did. It was a great book! I found myself intrigued and relating to some of what Rufus talked about. 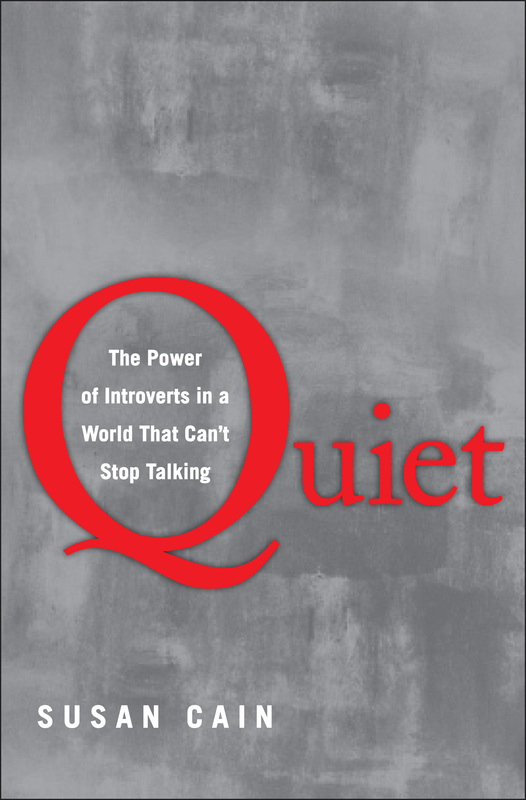 He then read Quiet: The Power of Introverts In A World That can’t Stop Talking by Susan Cain. I read that book, too, which kind of gelled with my interest in psychology. Over time, I’ve read a few more books about introverts and extroverts and learned a lot. 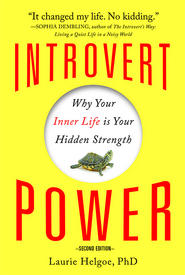 One I really like is Introvert Power by Laurie Helgoe. While I can be very talkative and open in a comfortable setting, I still get nervous, I freeze, and sometimes I react by saying the exact wrong thing. I have learned that, even amongst people I like and feel connected to, I reach a limit and need time to recover and that it is ok to be “boring” and not join the group. After dealing with toxic people I feel stressed and anxious, which I notice more now than I did when I was used to chaos. Writing really helps, so does exercise, and also music, whether after work or other interactions. I believe that I am a mix of introvert and extrovert, and that’s fine by me. Learning about yourself and what you need to be healthy and happy is very important. As I’ve written before in other posts, you have to choose wisely because some choices are long-lasting and expensive to change, such as a career path. Yet, sometimes you can scratch a certain itch in other ways, such as writing a blog when you have the desire to be a writer. I scratch the athlete itch by working out and playing tennis when I have a chance. I stay away from some social situations that are unhealthy or stressful so I can be less stressed. I am still learning about myself everyday, and trying to improve for my betterment. This is an interesting topic due to its negative tone but one that resonates with everyone. For every thought, song, food, drink, activity, travel destination, article of clothing, etc. that intrigues, there is someone else experiencing repulsion. Each person has a few things on their Never-To-Do list. Sometimes you need to eliminate what you don’t want to find out what you really do want. Despite being an athlete for many years, I am not a runner. It has been a part of my competitive training but never something I would do for enjoyment. I have tried to make a habit of running, at least on a treadmill, when I have been in decent shape but is otherwise not easy or appealing for me. A marathon would be my undoing, for sure. I have been to Pike’s Peak, done some light hiking in the mountains, climbed all over The Badlands, and have enjoyed various forms of nature at different elevations but I have no inclination to go deep-sea diving, skydiving, paragliding or any other activity that involves me throwing total caution to the wind, as it were. Class III rapids is where the buck stops with me. I can deal with depth and heights so long as I can do so as safely and securely as possible. I am not one for plastic surgery, or any surgery, but feel that it might be fine for someone else if that is what they choose or what is necessary for them. After watching my parents recover from multiple joint replacement surgeries, I am hoping to keep my body healthy enough to never need to go under the knife. Among the other things I wish not to do are: be famous, run for office, take a cruise into the middle of the ocean or read The Hunger Games books. A life in the limelight is not for me, as there are days I would rather not be bothered, much less have cameras follow my every move. Politicians often have to say what will get them elected or do what the donors/lobbyists/powers-that-be want them to do, rather than what the people want or what is right. Not for me. I have no interest in setting myself up for what would be very risky propositions by taking a cruise. For every positive story I have heard, I counter it with stories of illness and other cruise disasters gone wrong. As for The Hunger Games series, read by youth and adults alike, I will pass. As I watched the first Hunger Games movie, I was shocked with the content-the forced violence by youth, the oppression, and the overt pageantry of the elite. After years of reading fiction, I now prefer to read books that teach me something or get me thinking. Basically, my Boyfriend says that I shouldn’t get out of bed!